It’s not the Costa del Sol, but another nice-looking coast, so discover the ancient charm of Sicily and enjoy an exclusive holiday of comfort and relax in a luxury villa. The refined atmosphere of the lifestyle of Sicily’s noble 19th-century families, immortalized in Luchino Visconti’s film “il Gattopardo”, still arouses an authentic, unique charm. Sicilian countryside, coast and islands are full of real gems that in the past were the Sicilian, noble families’ summer residences. Today it is possible to live again this enchanted atmosphere suspended in time by going on a holiday in one of the wonderful Sicilian villas. 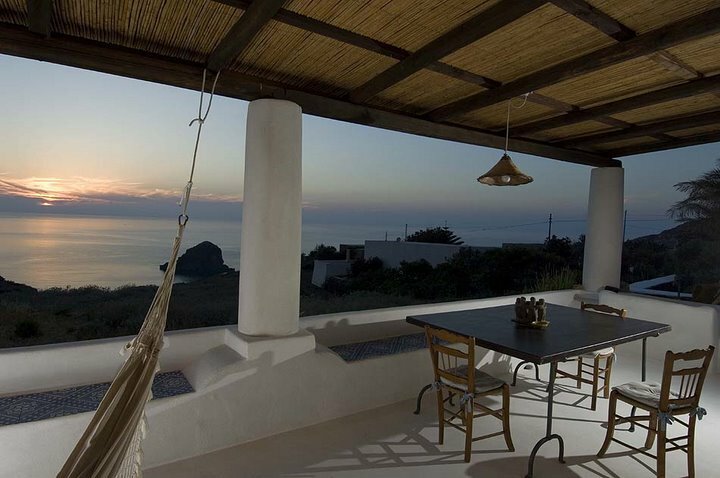 Sicily offers a wide selection of dwellings, surrounded by nature or set on the sea front, that suit the most exigent guests. In the countryside of Modica, right in the heart of the Sicilian Baroque, is Torre del Cozzoverro an ancient, beautiful farmstead whose origin dates back to the end of the eighteenth century. This exclusive country residence is a perfect example of local traditional architecture and culture that has been thoughtfully restored retaining the original charm. 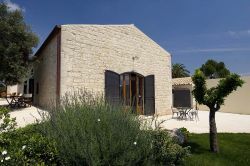 The villa consists of a main building with courtyard (Masseria) and an adjacent tower (Torretta). 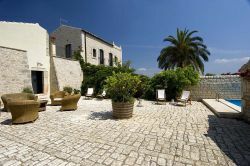 It has a well maintained garden with lawn, almond-trees, citrus and centuries-old olive trees and a big swimming pool with hydro massage and a room with toilets, showers and dressing-rooms, surrounded by a wide solarium-terrace with parquet flooring. 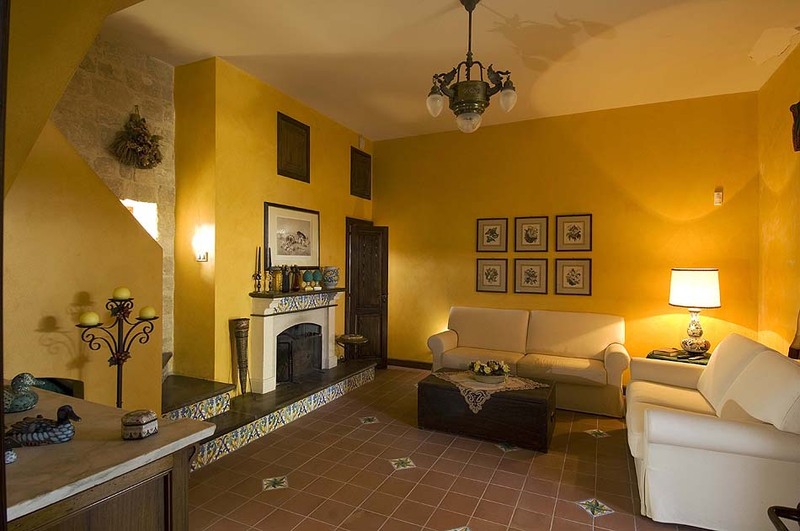 Il Faro is a gorgeous villa in Art Nouveau style with private pool, situated in the north-eastern part of Sicily, in Messina close to the two characteristic salt-lakes “Faro” and “Ganzirri”. The villa, which until few decades ago was a laboratory for the extraction of essences from the citrus fruits, is surrounded by a wide park where one can enjoy nice walks in the shade of centuries-old trees and then have a pleasant swim in the swimming pool. 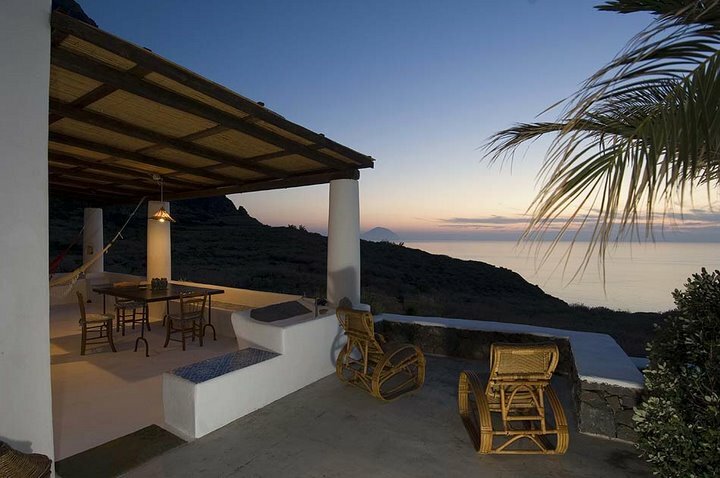 For those who prefer a terrace with a breathtaking sea view there is the wonderful villa l’Ulivo di Pollara in Salina, one of the Aeolian islands. The property, built according to the typical, Aeolian architecture, is situated in a charming location amid beautiful natural scenery: all around is an oasis of sheer Mediterranean vegetation, luxuriant growings of “malvasia” grapes (famous dessert wine) and capers bushes, behind stands the “Monte dei Porri”, facing a stunning sea view with Alicudi and Filicudi islands silhouetting against the horizon. 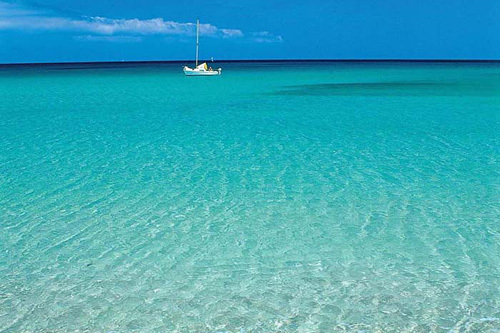 Away from crowded streets and beaches, Sicily is the perfect destination for who want to fulfil a great holiday. DiCasaInSicilia gives an opportunity for those who pursue the best to live and enjoy a custom-made holiday in unique dwellings that provide all the comforts. A young team but with experience and a deep knowledge of the country. Since 1992 we have offered an exclusive selection of villas, houses of charm and holiday apartments, that differ in type, location and atmosphere. We are specialists at satisfying every need, providing tailor made and high quality services, assisting in the country, keeping constantly in touch with our clients. These are our values, that are always present to suggest the best holiday accommodation in the most striking settings, from sea to cities full of art, from countryside to the smaller islands experience, and that contribute to making our guests holiday a happy, relaxed experience, discovering the true soul of this wonderful island: Sicily. Di Casa In Sicilia S.a.s. Wow, all I can say is when can I go. I have been looking for a great relaxing vacation. This place is simply breath taking.